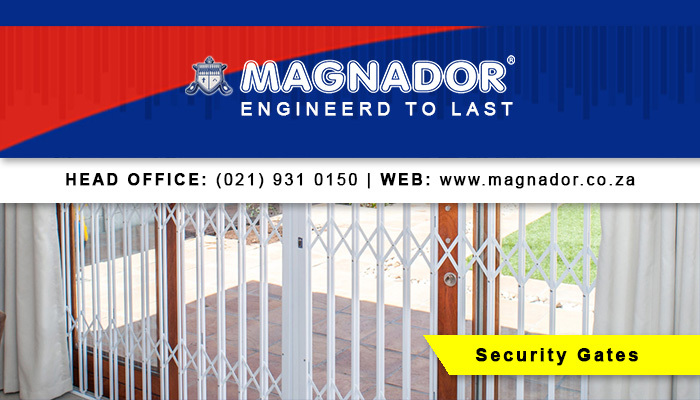 If you want to install burglar proofing and security gates that you can rely on, be sure to contact Magndaor. 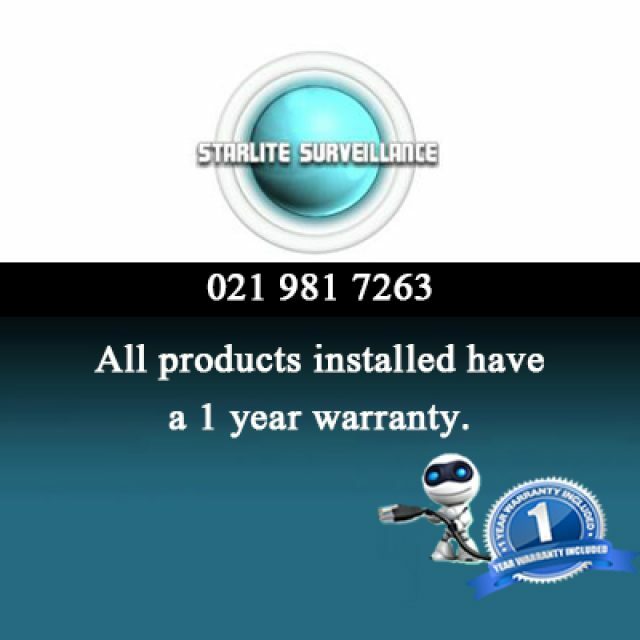 We are the industry leader in home security products. For more than 20 years we have been delivering our excellent services and products to clients. This has ensured that our brand is synonymous with reliability and affordability. 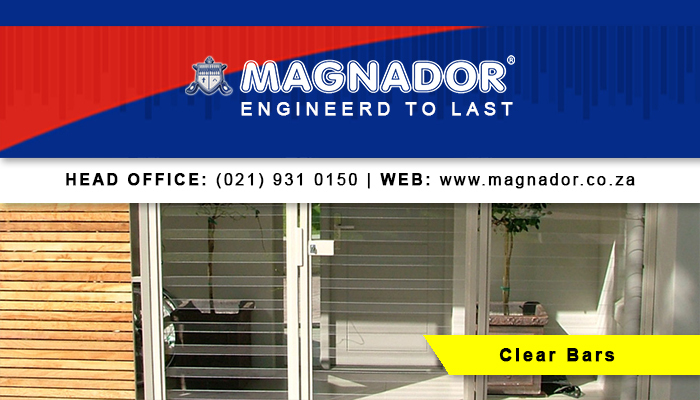 Magnador started out as a franchise company in 1992, in Cape Town. 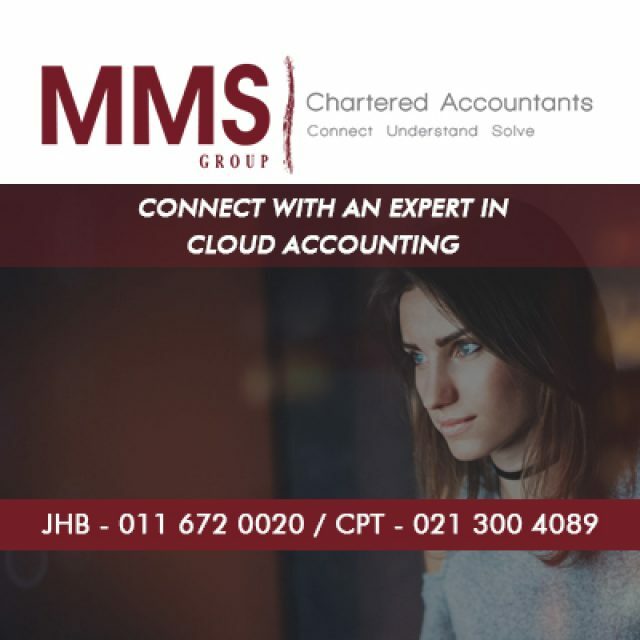 Since then, our company has grown immensely and we operate completely independently. 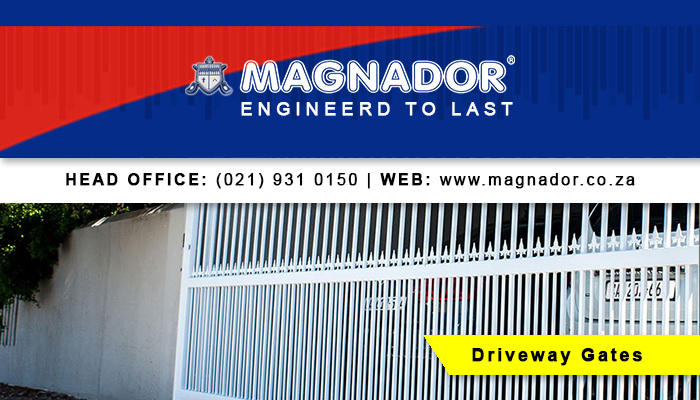 Magnador consists of a large, dedicated team. The way we ensure that all our products are of a high-quality standard, is by monitoring the whole process – from manufacture to installations. Our products and installations are available to all clients: domestic, commercial or industrial. We ensure that our products are corrosion, impact and weather resistant, for clients’ long-term protection. 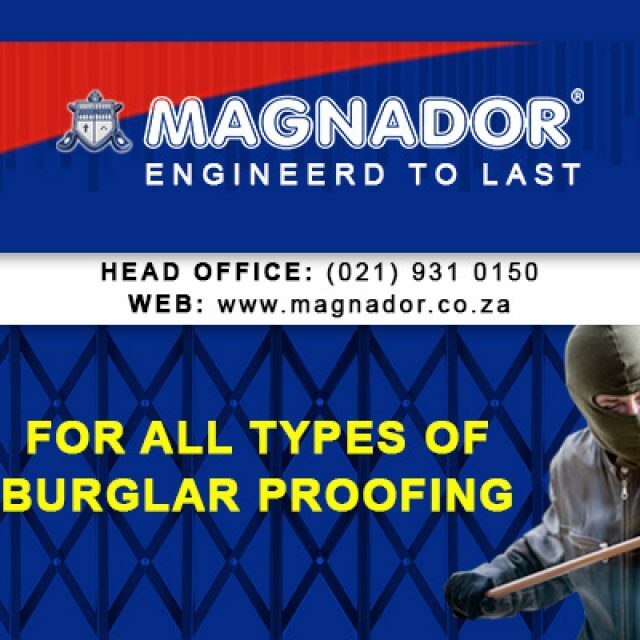 Magnador is the only security company that manufactures patented steel locks, guaranteed to keep intruders out. Our locks are manufactured with ultra-strength in mind. The dead lockfunction, which is automatic, ensure that you gate locks through a slamming action. This function allows you peace of mind in your own home. Driveway Gates and Security Panels: keep intruders away from your home with our range of gates (in various styles and colours). Security Doors and Gates: we have a large selection of gates and doors, for in- and outdoor use, to suit your home’s security needs. 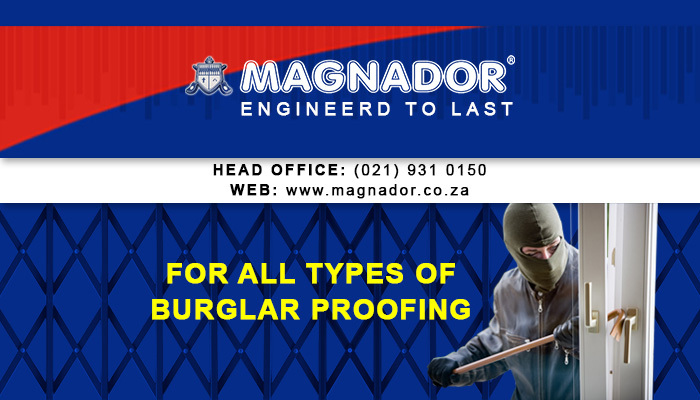 Burglar Bars: we manufacture and can install a range of burglar proofing options into any area. Clear Bars and Gates: this alternative to traditional burglar proofing is 100% transparent, yet ultra-strong. 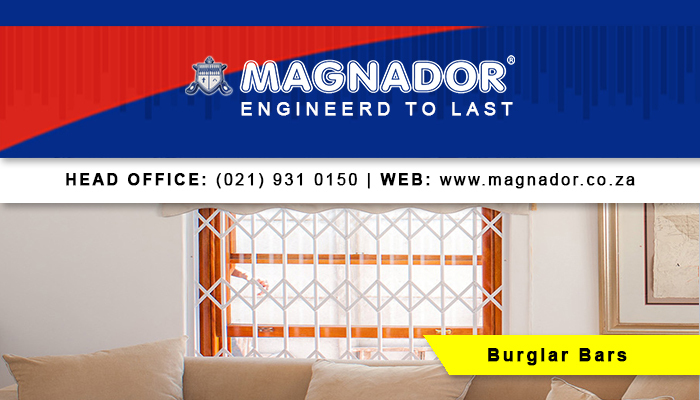 Secure your home without spoiling your view! Our products are manufactured to last a lifetime. Visit our website for more information about our rates. 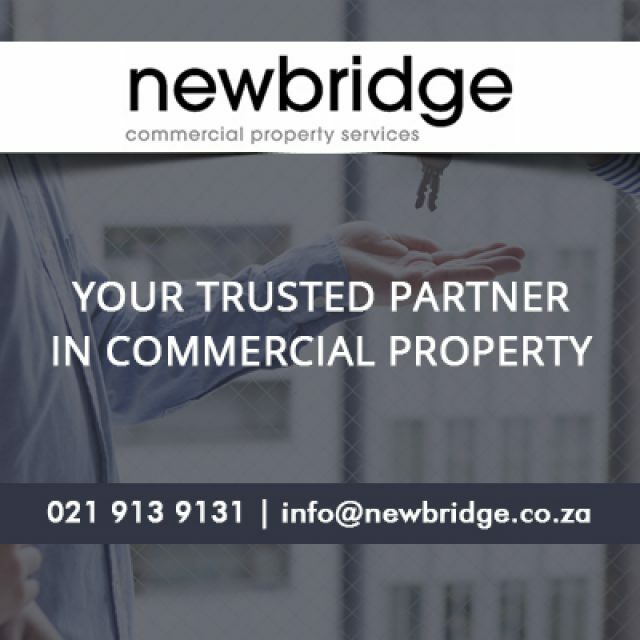 We are experts in the field of commercial property broking.